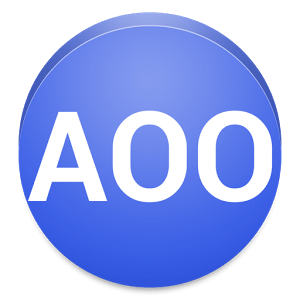 I have long been pining for a full office suite on Android and my pleas have been answered by AndrOpen, an Android port of Apache Open Office. This is a new version of Open Office which was initially released in Google Play in March 2013, and it brings not just the usual spreadsheet, Word editor, presentation creator, etc, but the entire kit and kabooble. AndrOpen includes (almost) every part of the desktop version of Apache Open Office, including more features than you'll find on most Android office suites. While apps like Kingsoft or Softmaker can support a couple file formats and most of the basic features for each of the core functions, AndrOpen supports pretty much every office format you can think of and (based on my perusal of the menus) includes every trick you would expect to find in an office suite on a PC. I've been playing around with the app for a day or so and it could really use some work. It's not all that stable yet, and compared to most Android apps it is also rather slow to load. TBF, that comes as no surprise; this is not your average mobile app (I wouldn't even have considered trying this on anything lighter than a quad-core CPU). And the interface is atrocious. This app still has the exact same interface, layout, and menu structure as on the Linux version of Apache Open Office, and while you can use it with a touchscreen I am not sure that you're going to like the experience. This is usable, yes, but I have repeatedly been stumped by menus hanging half of the screen. AndrOpen also appears to be missing support for extensions. This limits what it can do, but more importantly it blocks you from using the app to make Epub ebooks. There are several Open Office extensions that can make Epub files from documents, but I have not been able to find a way to install them. That unfortunately limits me to only making PDFs, which I feel is a poor substitute. 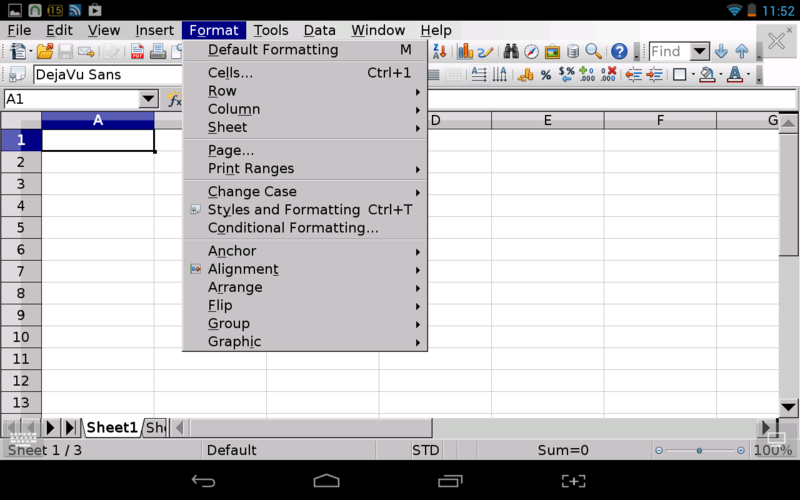 AndrOpen has been publicly available for at least 9 months, and it has received several major updates and quite a few bug fixes.There's also evidence of several interface tweaks in the form of an onscreen menu key and a slideout menu on the right which offers arrow keys and other basic functions like cut and paste buttons. But in spite of the improvements I think this app needs more work before it's worth using. That's why I plan to wait until it is re-released with a new interface before adding it to my standard collection of apps. By that point it should be more stable, have far fewer bugs, and work better on a touchscreen.